Today’s entry for Becky’s ‘In the Pink’ Square in September photo challenge is just a quick one. Meet Hypoestes phyllostachya – the Polka Dot Plant. 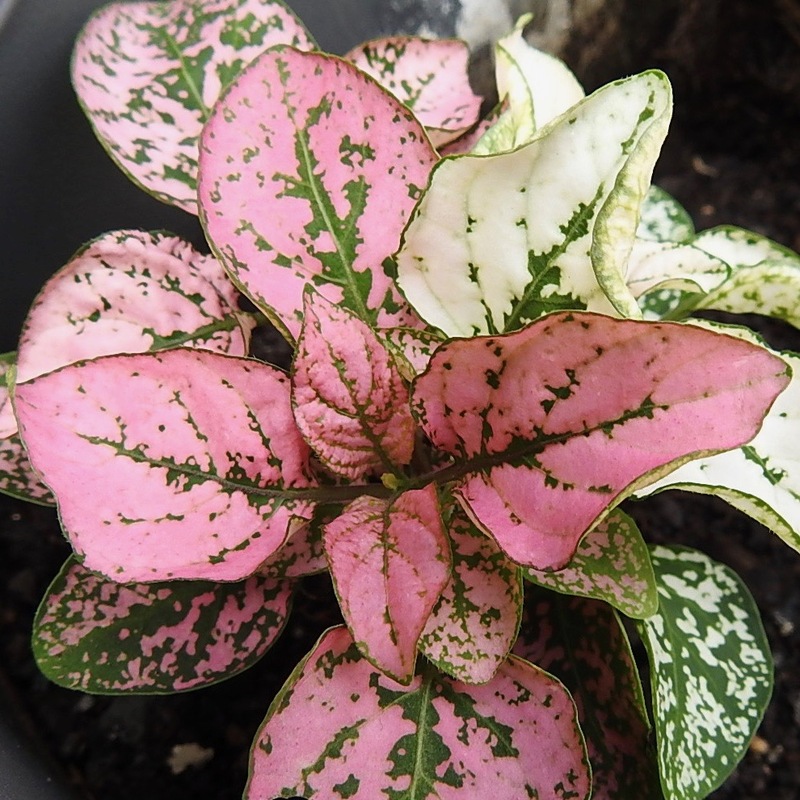 This little plant is such a cutie with its leaves covered in splashes of pink and white and, as you can see from my photo, sometimes even red, but the most common type simply has green leaves with pink spots. This one is pink and white. 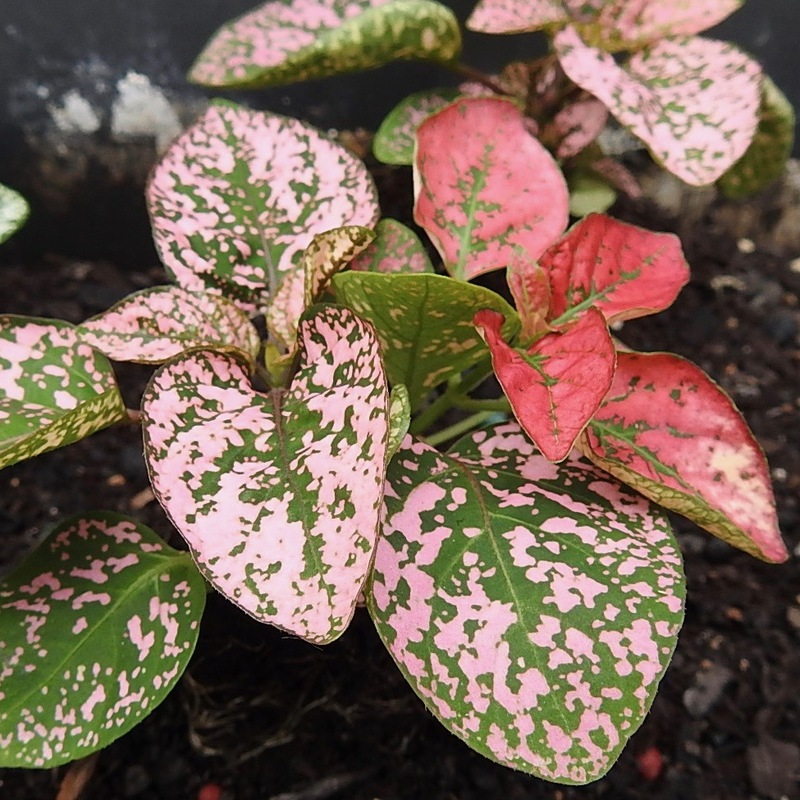 This is another new addition to my (verticle) garden and, I must say, it’s easy to see why its common name is ‘Freckle Face’. I still have freckles in summer so it is definitely my friend!